Indicate whether you're subscribing to a Course or a Domain with the Entity type dropdown menu. Select the desired Course or Domain in the Entity field. 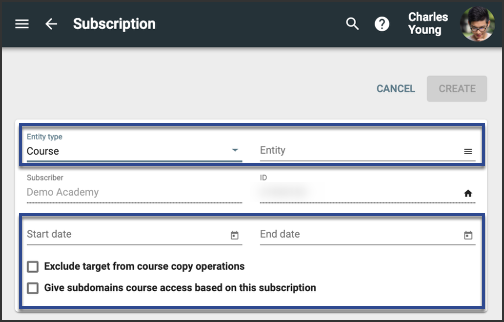 If you don't want to be able to copy courses from the target course or domain, check the Exclude target from course copy operations box. 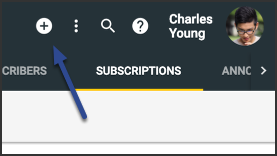 To disable a subscription, check its box and click Remove.